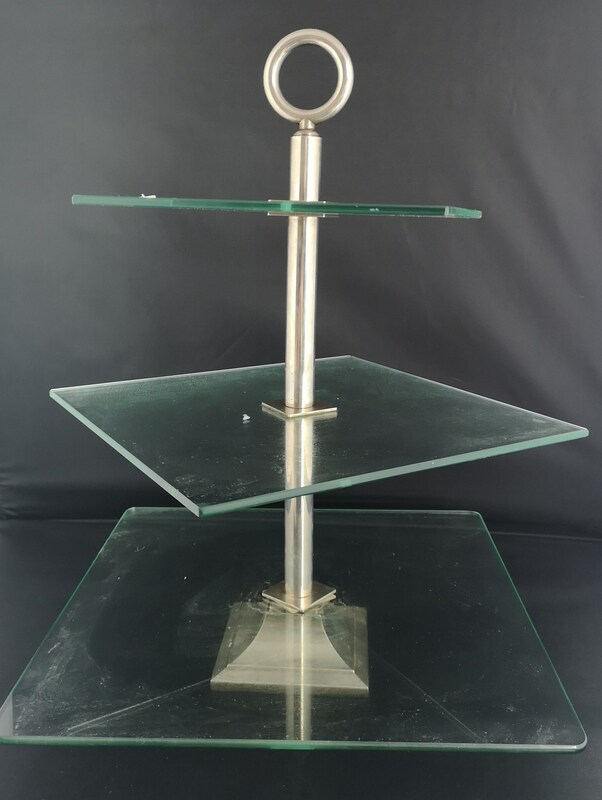 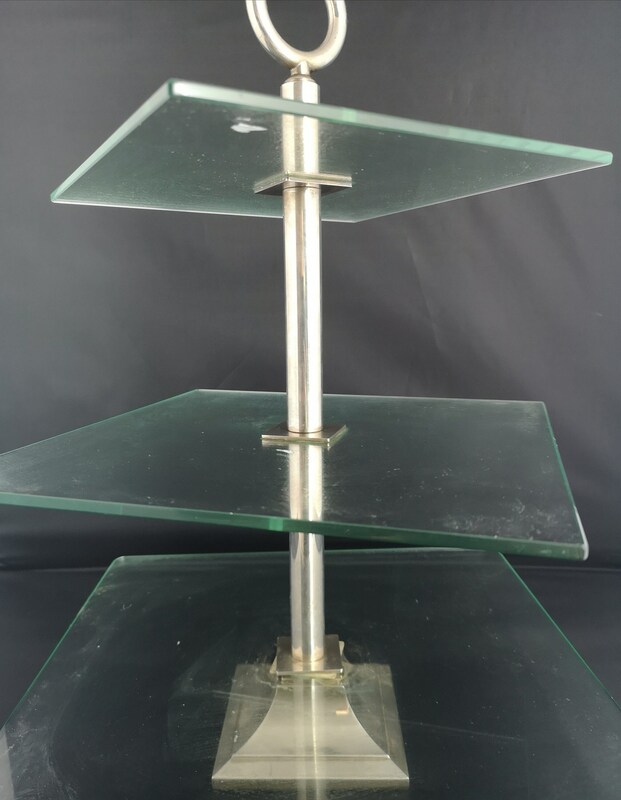 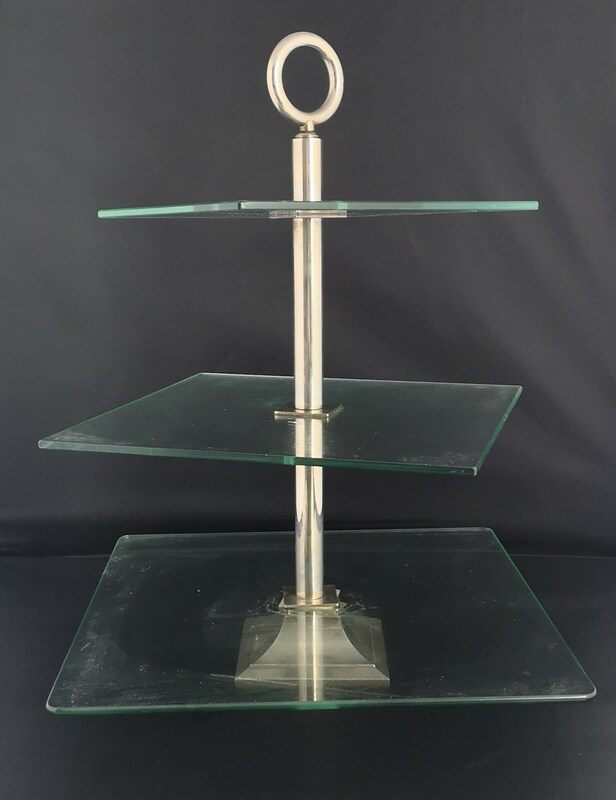 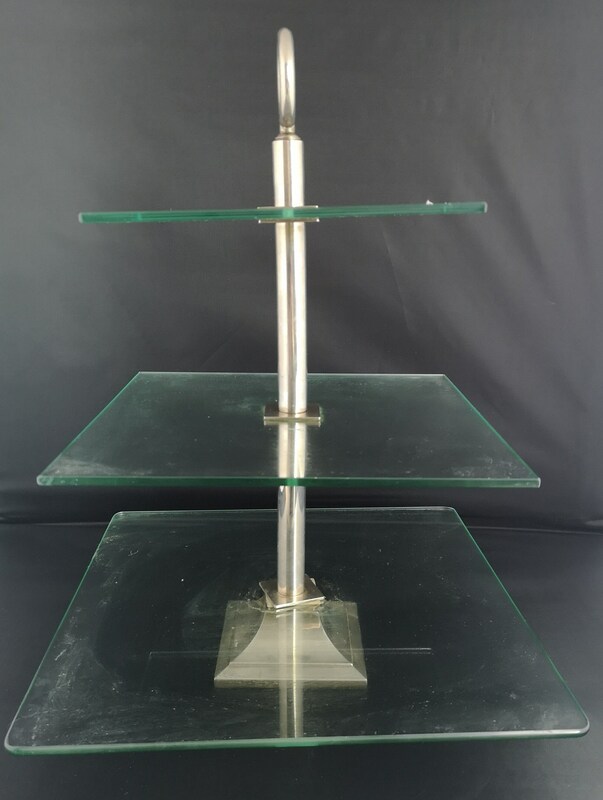 A gorgeous vintage Art Deco glass and chrome cake stand. 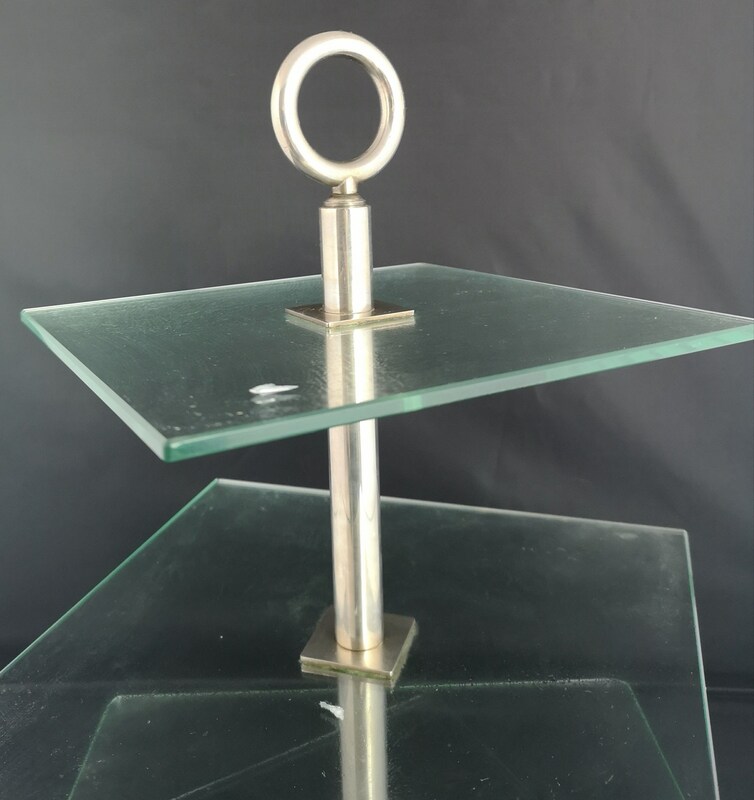 Central columns / supports are made from high polished heavy chrome, it has a circular finial at the top for ease of movement. 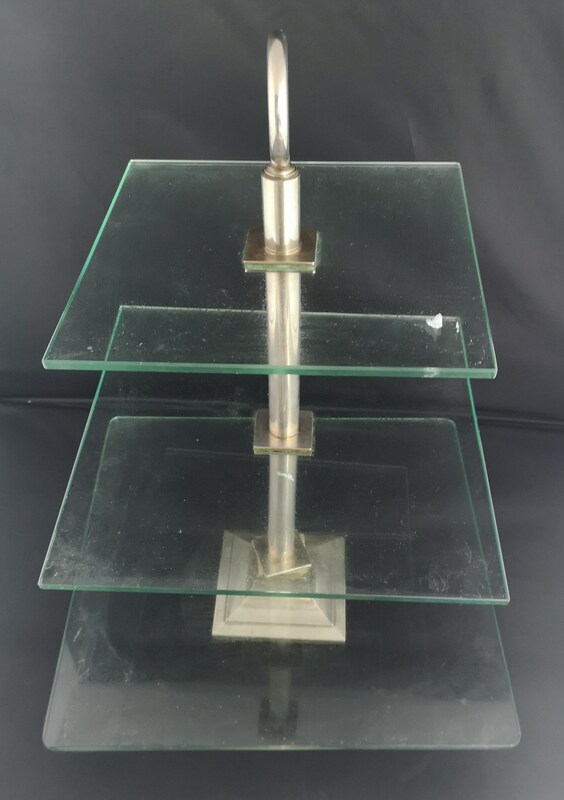 There are 3 square glass tiers, each made from heavy tempered glass and graduating in size from the top down. 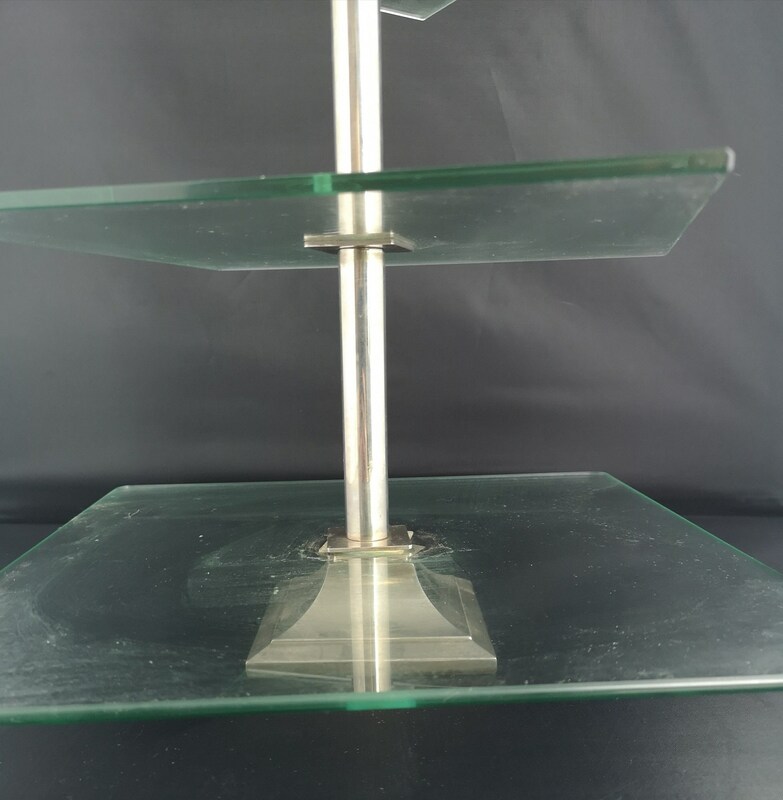 It is very stylish and the smart clean lines ensure that it would blend with a number of decor styles. 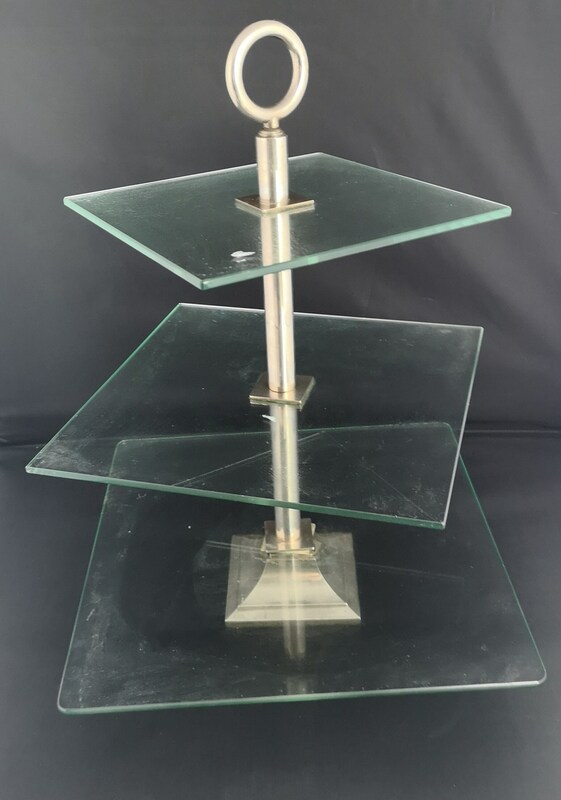 Good condition overall, no chips or cracks, please note that the cake stand will need to be reassembled upon receipt as it will need to be sent dismantled. 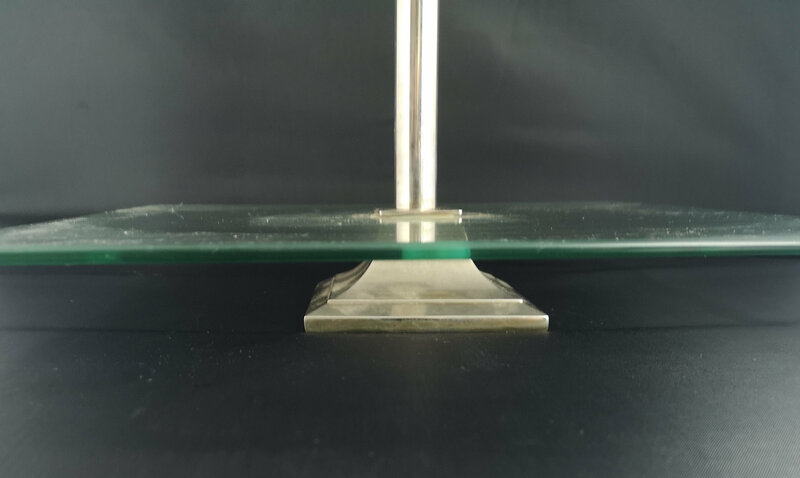 The chrome supports screw into the glass panels and to the other side. 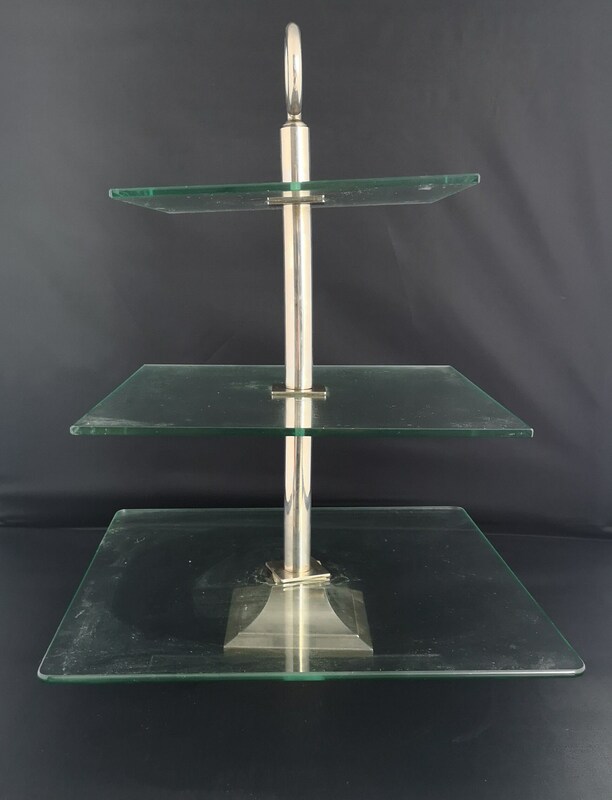 Approx 16.5", glass tiers smallest to largest 8" x 8", 10" x 10", 12" x 12"